This world is a pretty crazy place. There are things like kids, schools, dishes, and remembering to stock toilet paper and be home on time to meet the HVAC dude. There are pulls and demands from every direction, usually multiple times over, that leave Mommy feeling like one rockin’ hot mess. Since I’ve started kicking off this career gig, going at it whole-heartedly, it’s only gotten more tricky. And I know I’m not alone. Lots and lots of people are working hard to make money on the side–for some cool inspiration on how ideas to bank cash in a way that works for you, check this post from the Penny Hoarder with loads of great ideas to support your budget. Needing to earn cash and manage it all is normal; the skill is in working in the work–and all the tasks of this life–responsibly. For me, this means NOT checking in with my 13th million e-mail of the day while cruising down the road to drop my kids at school. And this is so hard. I do not wish to endanger myself or my children by any means, but I do desperately wish to keep up the atrocity of my growing to-do list at bay so I have time do fancy things like help them with their homework and give them baths at night. However, in these moments when I am tempted to think, “Let me just pop off this one e-mail so I needn’t deal with it later,” I MUST remember what really matters–keeping my family safe. What does that mean? Not texting while driving. Simple. Straight-up. There are times, like those at long stop lights and stand-still road blocks when this hardline may feel negotiable. But it is not. Ever. The bottom line is that, if I’m behind the wheel, my phone cannot be in my hands. This is why the National Safety Council #CallsKill Focused Driver Challenge is so important. All it asks? 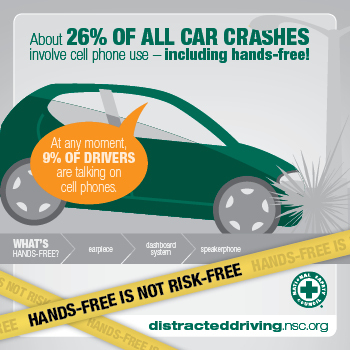 Take one week to break the habit and pledge to drop the phone while you drive–without exception. Need more confirmation? Check the truth at the National Safety Council website. April is Distracted Driving Awareness Month, and there is no better time than NOW to make the commitment to make your family’s safety a priority. This life is crazy busy. 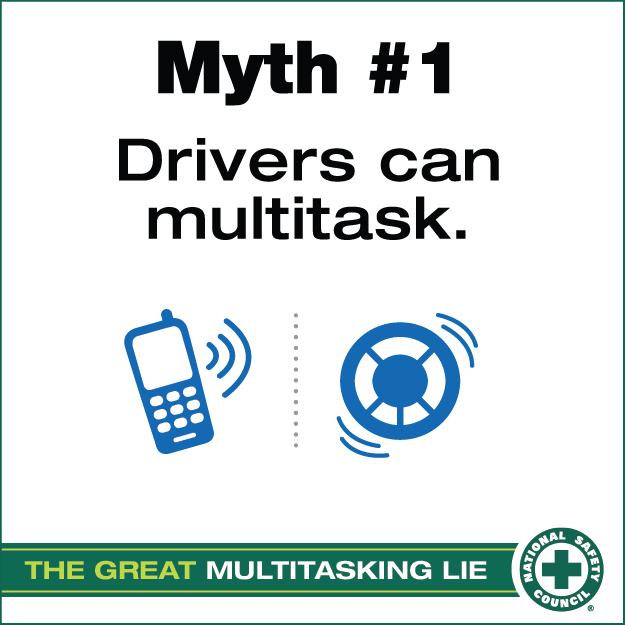 There are tons of important daily and job-related responsibilities that matter to you and your family–but they never matter more than keeping your hands on the wheel and your focus on what really matters. I so agree and can’t thank you for this most important reminder today, because like you I am getting e-mails and messages all day long business related and when I am driving though I try to always turn the alert off so I am not even tempted to peek, because it just isn’t worth endangering myself or my kids. So, couldn’t agree more. It’s hard to juggle it all, Janine, I know! Go you for turning those alerts off! What an amazing reminder. That 26% sticks with you I’m glad to get the teminder every once in awhile. Stacey, thanks for checking in here with this important issue–I am sure you have seen it all as a nurse. I just saw a video posted on FB about this very thing… the video was a horrifying accident with girls all goofing around and texting and ran smack into another car… most of them died, except for one bloody broken body that screamed at the horror of it all. Thank you for this reminder. I needed it. We all need it. Oh my goodness–I am sure that video had the power to make it all too real. Thanks for sharing this, Chris. I think this is so important. 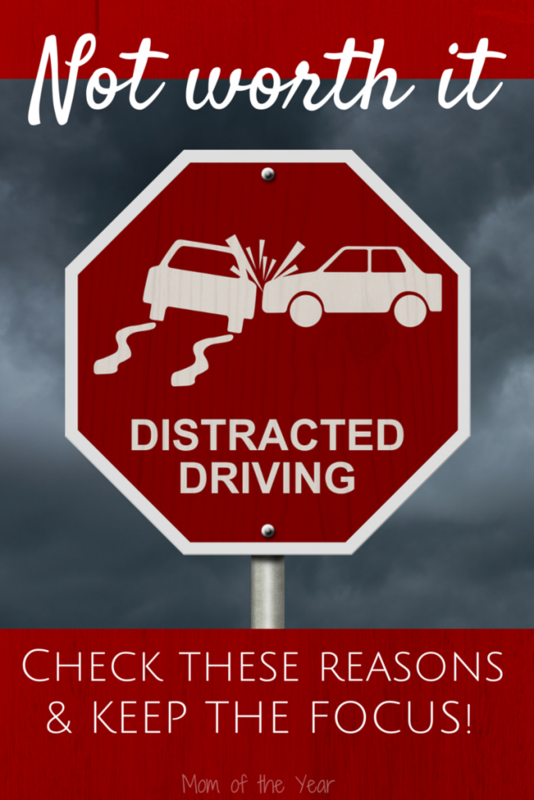 I never make cell phone calls while I am driving, and it makes me absolutely crazy when I see women talking on their phones and driving, because I KNOW how many other distractions are in their cars at that moment. That said, I am like you and feel like I need to empty that growing email list. I try to only do it at red lights; but the fact is, my boys still see me doing it and I don’t want them to think it’s okay. You said it so well, Kathy. I cringe thinking of how easy it is for my kids to pick up on my horrid habits–with so many things in my life. Here’s to just keeping those phones AWAY when we drive! Well said, Ellen. One miss is all it takes!